Many probiotic products contain traces of gluten and could cause problems for people with celiac disease, according to a new study. Tests of 22 top-selling probiotics revealed that 12 (55 percent) of them had detectable gluten, the researchers said. 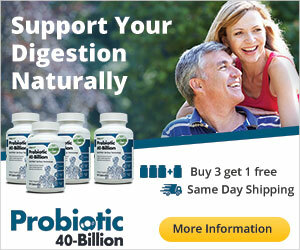 Many people take probiotics for their theoretical digestive system benefits. Gluten is a protein found in wheat, rye and barley. In people with celiac disease, gluten causes bowel pain and other symptoms, and increases their risk of cancer. Most of the probiotics that tested positive for gluten had less than 20 parts per million of gluten. That’s a level that would be considered gluten-free by the U.S. Food and Drug Administration. However, four of the products had higher levels of gluten, the findings showed. More than half of the 22 probiotics were labeled gluten-free, but this had no bearing on whether they actually contained traces of gluten. Two of the probiotics with gluten-free labels did not meet FDA standards for being gluten-free, the investigators found. The study was scheduled to be presented Saturday at the Digestive Disease Week meeting in Washington, D.C. Findings presented at meetings are generally considered preliminary until they’ve been published in a peer-reviewed journal. 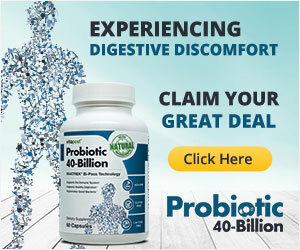 “We have been following reports in the scientific literature and news media on inaccurate labeling of nutritional supplements, and it appears that labels claiming a product is gluten-free are not to be trusted, at least when it comes to probiotics,” Dr. Peter Green, professor of medicine and director of the Celiac Disease Center at Columbia University Medical Center in New York City, said in a university news release. “This is a potential hazard for our patients, and we are concerned,” he added. The actual level of threat is unclear. Even so, he said the study findings are troubling. “Why is there any gluten in these products? Why should the consumer pay any attention to gluten-free labeling on such products? And given the great consumer interest in probiotics, will regulatory bodies take action to protect the public?” Lebwohl said in the news release.